Book love! 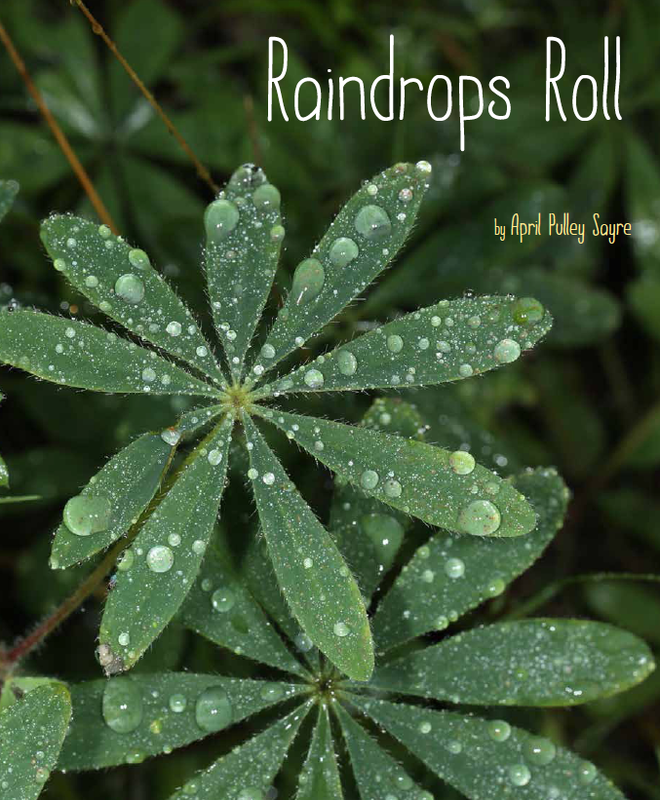 A great review in Bookpage and a third star for Raindrops Roll (Beach Lane/S&S), this time in Publisher’s Weekly. 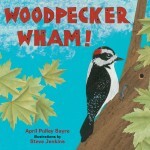 Woodpecker Wham, with Steve Jenkins, will be released May 12 and was recently reviewed by Kirkus. I’m just back from three weeks photographing creatures in FL beaches and wetlands. Can hardly wait to share the FL photos with you, readers. This year I’m going to update my website to make it more interactive. 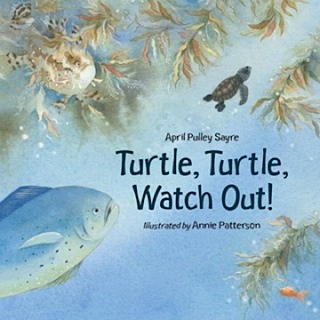 In the meantime, “Like” my facebook author page April Pulley Sayreand from there I’ll keep you updated on when the new interactive site is ready. Other recent blog reviews and interviews on Richie’s Picks, Seven Impossible Things Before Breakfast, and Think Quick Interview. Preschool teachers rock! This teacher’s joy lifts my spirits every time I watch the video. 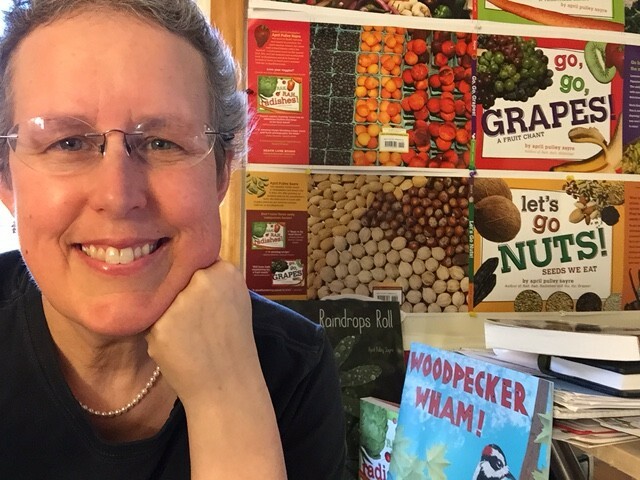 While signing Rah, Rah, Radishes and Go, Go, Grapes last year in Atlanta, I met this fabulous teacher who agreed to share how she gets the 4-year olds in her class to try foods. The video is on my youtube channel. Jeff and I have also posted some of our nature clips on our Sayre Nature Youtube Channel. Turn your garden into a hummingbird hotspot, a haven for butterflies, and a thriving ecosystem. This family-friendly guide is my most personal book yet, sharing the wildlife gardening knowledge that Jeff and I have gained over the years. Back from steamy, sparkly ALA in New Orleans to find that folks are lovin’ Rah, Rah, Radishes. Katie Davis brought Rah, Rah, Radishes: a Vegetable Chant along with two other books to discuss them in her segment on Good Morning, CT.
See what A Year of Reading has to say. Shirley Duke posted extension activities here: Simply Science Blog. Back to photographing fruit for Go, Go, Grapes: a Fruit Chant, which is out next year. Mangosteen, anyone? 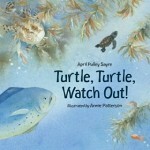 To kick start resources for my two new books, I’m looking to stock up on activities. Flannel Friday got me started on this idea. Would love some flannel but other things okay, too. As a thank you I’ll send you a package of four signed hardback picture books. Trout, Trout, Trout: a Fish Chant and Stars Beneath Your Bed will be among those books. Email me through my site. I’ll just need four creative librarians/storytime gurus. Of course you can post your activities wherever you want, including your blog. I just want to link to them or share them on my site.